Branana Muffins! 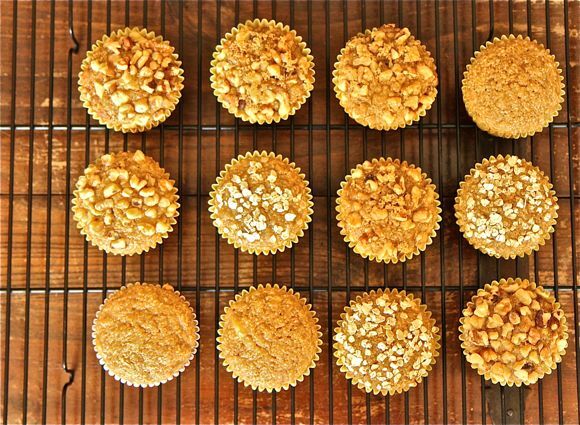 These dense, Banana Bran Muffins are loaded with sweet, ripe banana and all the filling, fiber-liciousness of toasted oat bran. Delicious hot from the oven with a smear of melting butter, these muffins also keep well in the refrigerator for up to a week or frozen up to a month. Perfect for a quick breakfast or afternoon snack, I hope you’ll give these Branana Muffins a try! NOTES: Makes 12-14 muffins. 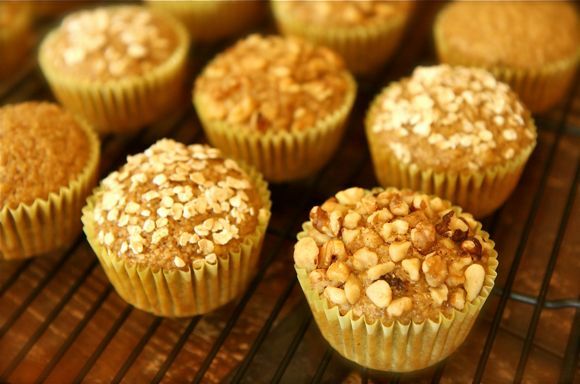 For a leaner muffin, consider omitting oil; be sure to use plenty of banana for moisture. Can also be prepared as a quick bread by incorporating chopped nuts or chocolate chips into the batter and baking in a greased, loaf pan at 350(F) for 45-55 minutes. 1) Preheat oven to 350(F) and line a muffin pan with paper liners. 2) In a large mixing bowl, mash together banana, brown sugar, honey, cinnamon, ginger and vanilla. 3) Whisk in beaten egg and oil. Combine well. 4) Fold in oat bran, flour, baking soda, baking powder and salt. 5) Carefully spoon batter into muffin cups, filling nearly full. 6) Top with chopped walnuts or pecans, chocolate chips or quick cooking oats if desired. 7) Bake in a preheated 350(F) oven for 20-25 minutes or until golden, puffed and fragrant. 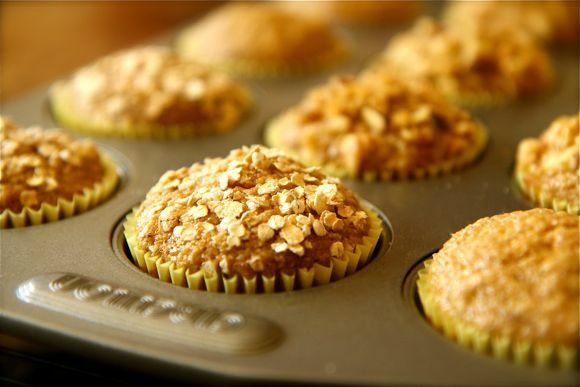 Try some of my other favorite muffins… Oatmeal Apple Muffins and Blueberry Bran Muffins.